Councilwoman Jen Giattino, currently serving as the sixth ward councilwoman since 2011 was overwhelmingly elected to the role of City Council President earlier tonight. With a full nine members sworn-in to the council, the vote was not in doubt. Councilman Michael Russo arrived during the vote and asked his yes vote be tallied. Council members Terry Castellano was absent from the meeting and Timmy Occhipinti arrived late but politely extended warm congratulations. The lone no vote came from Councilwoman Beth Mason. In addition, Councilman Ravi Bhalla was elected to serve as Vice President. 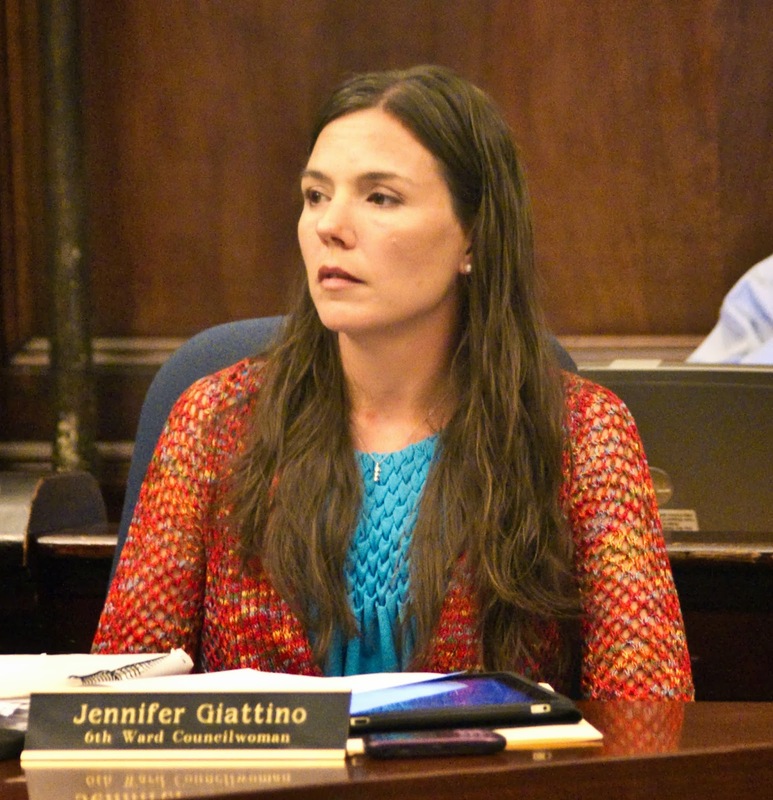 Councilwoman Jen Giattino was overwhelmingly elected to City Council President tonight. Talking Ed Note: Council President Giattino is moving the meeting along nicely and the proceedings are really humming. The dynamics are one can say politically mature. More on that political reality later. For now, a hearty and big congratulations to Jen Giattino and her entire family! Nine Hobokenites have been unanimously selected to serve on the Hoboken Zoning Board. MSV doesn't have the comprehensive list yet but among the names as regular members back are Phil Cohen, John Branciforte with Brian Urbano. Another familiar name is former fire chief Rich Tremidieti. On the Hoboken Housing Authority easily passing to the five year term Dana Wefer and to the remaining one year term James Sanford bringing that body up to speed with a full seven members. Brian Assadourian was appointed to the North Hudson Sewerage Authority.